At seventh level a small battlement with a wooden floor gets added to the back left corner of the roof. Underneath the battlements are what appear to be arrow slits. At Seventh level the Town Hall has 3,200 , the upgrade cost is 1,200,000 and last for 6 days. After finishing of the upgrade You will get the Experience: 720 . 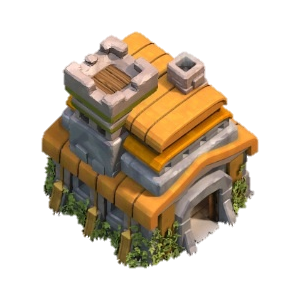 At this Level the Town Hall can store the following maximum amount of Resources: 500,000 , 500,000 and 2,500 . 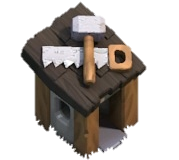 Seventh level of the Town Hall allows you to build 17 additional Buildings (Total is 70, including the Town Hall itself, Traps and 5 Builder’s Huts). The number of available sections of the Walls this time is increased by 50 (Total is 175). The most expensive upgrade for Elixir at this town hall is Dragon level 2 for 2,000,000 . The most expensive upgrade for Gold is Hidden Tesla level 3 for 1,500,000 . The most expensive upgrade for Dark Elixir is Barbarian King level 5 и Hog Rider level 2 for 20,000 . 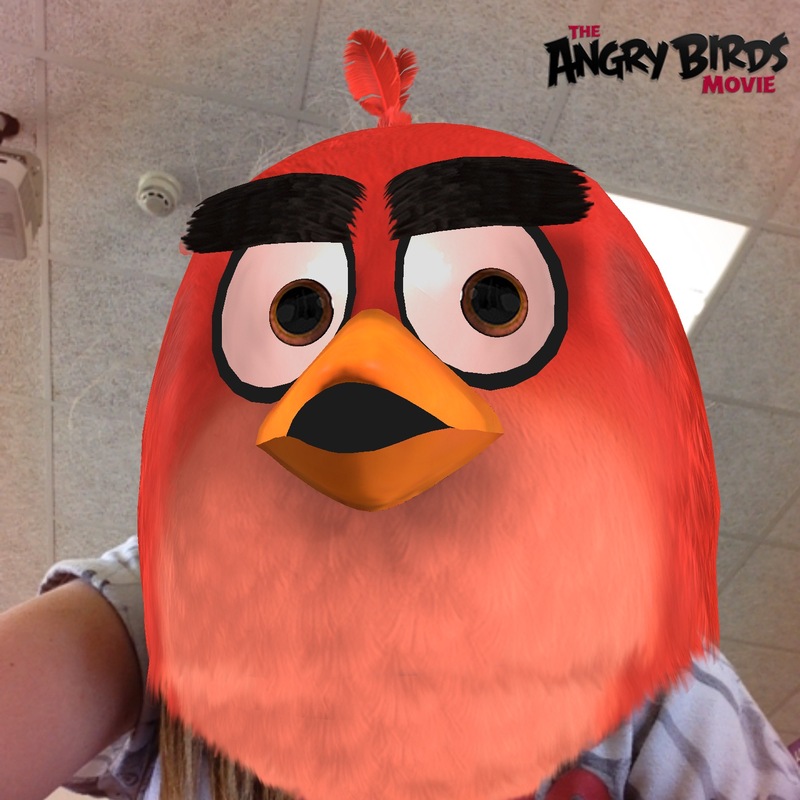 I am th6 max. Going to upgrade to th7. I am very excited. No. Should take a balanced approach for upgrades. Mix it up between defense, traps and offense (troops). The Healing Spell creates a ring of healing that heals your units while inside.